The calendar has turned another year. I’ve had no hesitation writing 2019. It’s been a roller-coaster of highlights & lows the past 7 years. Looking ahead feels good. In no small measure because I took a journey to Kenya in December. A return to travel after nearly 5 yrs. and no ordinary trip. A mix of awe, wonder, beautiful connections, and unexpected challenges, I came back changed. After a few days adjustment, I slept 9 hrs. a day for days in a row when I returned. No ordinary sleep, tho. I was deep in the ethers and nether realms, with dreams I couldn’t remember. Like I was catching up on years of no sleep. I didn’t return to FB right away, either. Even after a 3 week absence, first time since I started ages ago, I’m still not back full-time. I’m finding new space. Truth, the entire trip was the final leg of a journey back to myself, only to be seen in hindsight. I’d been saying all year I was going to Africa, albeit with no answer how or when. Then, an email arrived from a writer friend about a writing contest, 48 hrs. to deadline. I won a partial fellowship to a writing residency. I was thrilled. I’m intensely interested in culture and how it shows up in both works and a writer’s voice, so the chance to meet Kenyan writers excited me. Plus, we’d reside in the lower rift valley for part of the journey. I was enthralled with the idea I’d be in the place that inspired Karen Blixen to write “Out of Africa.” As time got closer, there was evidence and strong intuition all my surprises may not be pleasant ones. I was too far in, too invested with desire and money to back out, tho. I needed this trip. I needed to unplug, step away from work. To write my own work, again, and talk with other writers about writing. To be inspired by the shifts a new-to-me place brings. I’d been feeling anxious about life for too long. I left ready for something good. Oh, my. I was not prepared for how deeply I’d feel a connection to the land and people I encountered in the silences. Africa became a part of me as if my DNA changed. Several people have told me since that this is what happens. It’s deep, or not at all. No middle ground. In a weird kind of way, one of my discomforts turned into a blessing. Most who meet me think I’m an extrovert (or weird) because I’m authentically curious, interested, and expressive. The truth is I spend most of my time in solitude, and typically travel alone. Long periods with people talking in groups feel overwhelming for me. One way I dealt with this was to sit up front in the seat next to the driver on our group drives. I didn’t run, scream ‘shotgun,’ it seemed to evolve. Like the angels watched my back, even in a lucky invitation by the guide when we went on safari! I was happy sitting there quietly where I could see, have questions about what I observed answered. Things like history of the land & people, rhythms of African life & traffic/travel, the city, the country, animals. All the things I was interested in. My experience on The Maasai-Mara National Reserve was perhaps my biggest surprise. I saw bones gleaming white on the savannah and they captured me. Strings of them behind black-horned skulls, everywhere. Sitting beside our Maasai guide who was educated as an animal and land conservationist, I learned the close cropped, tawny colored grass covering the ground would rise tall and green with the rains in the fall, and the animals would safari (to travel, from the Arabic safara; to journey in Swahili) across the hills from the Serengeti. That the plains would blacken with thousands of animal bodies, and one could see a wildebeest brought down by lions once every hour. And how when the lions were done, the wildebeest fed waves of hyenas and jackals. In the end, beautiful vultures unlike any I’ve ever seen, white-backed and gray-backed, picked the bones clean. What struck me was every skull rested chin forward. I thought an animal in death would lie on its side. Who knows, perhaps the weight of the horns righted the skull after the flesh was gone. I didn’t invite a logical explanation. It was a spiritual experience. The bones talked to me of sacred offerings and the cycles of life. When we returned to the rural rustic accommodations on the Maasai preserve where we stayed, a poem flowed thru me. The only fresh thing I wrote on the entire residency. When I got home, I edited it, added a dedication to my Maasai ‘teachers,’ community leader Simon Metekai Masago and safari guide Jackson Kayionni Letiol, shared it with them. It’s been accepted for publication this spring in The Wayfarer, a beautiful professional journal with the tagline “Reimagining the Possible – Charting the Way to Change.” Could this be any closer to what happened for me?! With all the good stuff, I’d be remiss to not admit there were moments of deep challenge on the trip. Things that hurt and couldn’t be fixed. And in the end, I had a choice. I could let them take me back to what I know for sure: Sometimes we can’t fix things in the moment. We gotta own what’s ours, learn and move on, without putting up walls. We all look thru a lens created by our experience. And ultimately, the best we can do is find our way to who we are in our Heart, and BE that. My choice, fierce hearted. This turning inside me feels like the animals must feel with the promise of fresh grass. Wishing you All Things Good in 2019. The photos are O’Hare Airport, Chicago, USA. This is what I saw when I entered the terminal. I swear, after 25 hrs. travel, I didn’t see the affirmation facing me on the globe ’til I got there & looked up. and brought me the best Kenyan tea. 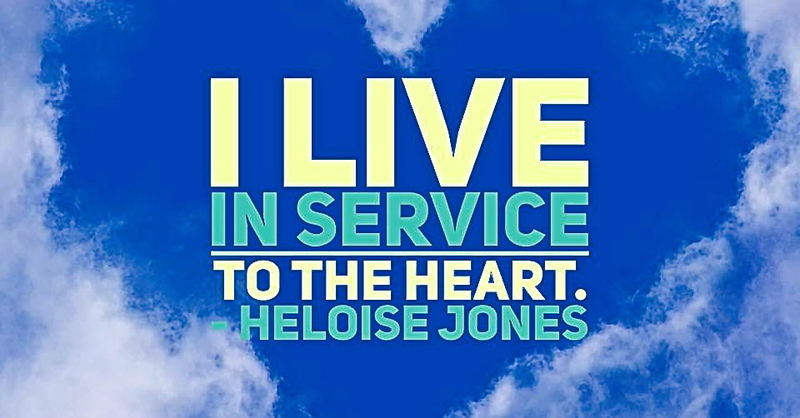 This entry was posted in events, publications, spirit, strong offers, travel, writing by Heloise Jones. Bookmark the permalink. Great read! Wish it had been pages longer! The writing of your experience woven by your writing skill, through the keen lens of deep-hearted presence, is mighty engaging. How you string certain images together through wordsmithing is why you intrigue the writer in me. “I saw bones gleaming white on the savannah.” Wowza! Standing at attention with this clear image. Returning to your own writing gives me God Bumps! Hallelujah! I am chuckling that out of all places to visit you chose Kenya. It is as if the self-proclaimed fierce-hearted woman was ready to jump into the lion’s den, into the fields where the fiercest of this planet’s wild ones reside. No doubt you have changed. Thank you, Renya! I’m so pleased to hear you’re writing your book(s). Write On! And you got it….Kenya, fierce hearted.